Finance enables people to secure fundamental needs such as housing, education, energy and healthcare. However, globally, 1.7 billion people are without access to basic financial services, and 65 million micro, small and medium-sized business in emerging economies have unmet financing needs. - What is Financial Inclusion? 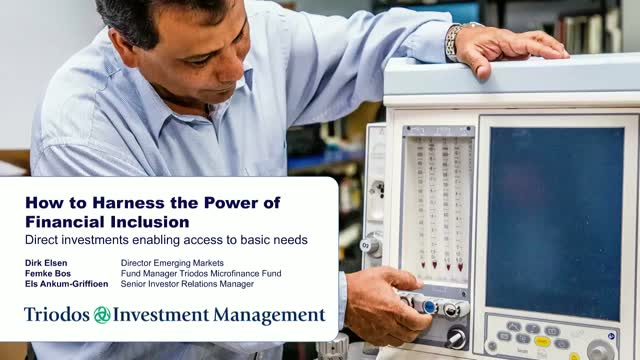 - How does Financial Inclusion impact Emerging Markets? - How many people are reached? - What is Triodos IM's approach? - What are trends and developments in this dynamic sector?